Reprinted in full from Global Post, 14 racist things politicians and others have said about the Roma. It is obscene that politicians in Europe share their racist ideology so easily while at the same time European countries are spending millions of euros on the decade of Roma inclusion, 2005-2015. The World Bank site explains, "The idea of the Decade emerged from the first high level regional conference on Roma which was held in Budapest, Hungary in 2003. At that event, prime ministers and senior government officials from Bulgaria, Croatia, the Czech Republic, Hungary, FYR Macedonia, Romania, Serbia and Montenegro, and Slovakia announced their intention to launch the Decade. 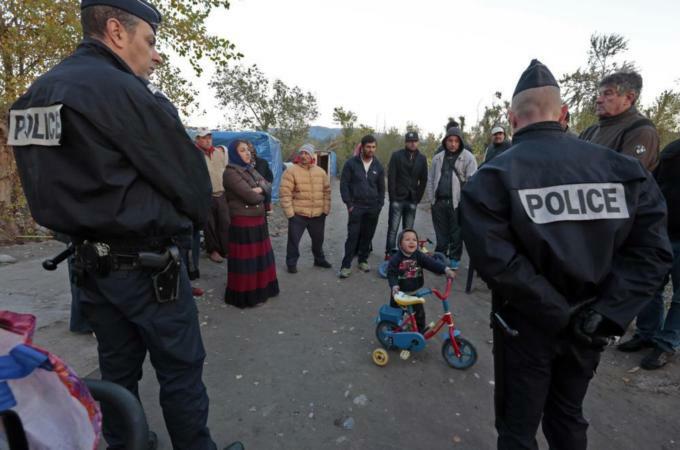 Their backing signals a sea change in Roma policy and the political will necessary for reform. Other countries are encouraged to join the Decade." This initiative is supported by This includes the Open Society Institute, the World Bank, the European Commission, the United Nations Development Program, the Organization for Security and Cooperation in Europe, Council of Europe, the Council of Europe Development Bank, among others, and most importantly, Roma leadership, including international Roma organizations." As we approach 2015, one has to wonder what will happen when the Decade of inclusion ends? For an overview of how the Roma have "benefited" since 2015, read Al Jazeera's "Unfinished Business: Roma Inclusion in Europe."